How Serious Are We… Or Are They? We see all sorts of histrionics inside the beltway as our government faces yet one more showdown in the struggle to provide all the promised porkbarrel perks to the voters without totally bankrupting them. The Democrats say they see the problem, but tell us the needs are just too pressing in so many areas that it is impossible to significantly cut spending in any areas. About the best the Republicans can come up with is a plan to balance the budget in about five years. Less than that, we are told would be “irresponsible”. It is somewhat understandable that expecting those, including government employees, to deal with a cut off of the flow of taxpayer funds is a little too much to expect. Psychologically it would appear difficult to pull the plug on programs that came about with “bi-partisan” support. Even Republicans have their pet programs they want to see continue in spite of the economic difficulties. 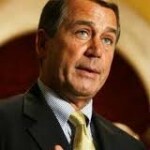 Speaker Boehner’s position that increased taxes are off the table is a welcome start. We can hope that he and the rest of the GOP contingent will hang tough on this. The proposal that any increase in the debt ceiling be accompanied by an equal reduction in spending is a good idea and represents symbolism that will put the progressive socialists in a terrible bind. To get the funds they need to carry out their schemes, they have to give up part of them. Most likely they will agree… temporarily. Giving up this sort of thing is just postponing what they believe is the inevitable. It’s the same tactic the communists used during the cold war – occasionally taking one step back so they could later take two steps forward. This is the situation the Republicans face, no victory is ever permanent. They just keep coming back for more. The progressives take a long term view, never accepting defeat, just seeing temporary setbacks to their plans. To the conservative mind, preserving the status quo is a more difficult proposition. There is no goal to pursue other than preventing the other side from winning. This leaves absolutely no room for compromise, yet compromise they do. The rules of the game preclude a good outcome for the conservatives, the only thing they are playing for is to delay the ultimate outcome. To keep our country, we have to, once again, get the vision of freedom and aggressively pursue it – recognizing the obstacles we face and working with the determination of Patrick Henry. It’s not enough to hold on to what we have, we need to push back with every thing we have to regain everything we have lost to the statists, and expect the same from our leaders. We need to demand more of those who can get the job and not accept the same old excuses about political realities and the need to be “responsible”. There really is a need to be responsible, but spending money our children and grandchildren don’t have is not the way it is done. Whatever the outcome of the debt ceiling debate, it will never be over as long as there are progressives in Washington… and they are in both parties. Raise Taxes To Lower Debt? Many Republicans and some Democrats say they wont raise it unless Congress and President Obama agree to significant spending cuts and other ways to curb debt. They dont admit it but lawmakers tacitly agree to raise the debt ceiling every time they vote for a spending hike or tax cut. Others may want a bigger increase so they dont have to revisit the issue for awhile.How many times has the ceiling been raised?